We set out each day to make the Lady Jane's experience better for each and every guy. That's what sets us apart, that's what makes us the best - no, ONLY place - for guys to get an amazing haircut experience in an environment designed specifically for them. There's a Lady Jane's near you! Sorry, no locations were found within 25 miles. The Chicago Bulls. The Detroit Red Wings. The New York Yankees. The New England Patriots. And now.... Lady Jane's Haircuts for Men. Dynasties are rare. However, when a dynasty takes over a league or an industry, the results are electrifying. The reason dynasties are so rare is that they require an exceptional amount of determination, hard work, perseverance, and talent. It's these qualities, though, that make Lady Jane's Haircuts for Men the ultimate men's haircut experience, according to CEO Chad Johnson. "No matter what you want, we've got it. This is our bread and butter, the reason every guy that steps through our doors, comes back"
"We list it separately because it's THAT good. A dollar is a steal for an invigorating LJ shampoo, seeing as how every guy that gets one says it's the best part of the whole LJ experience." Beautiful Hair comes from a healthy scalp, which is why our hair and scalp treatment is a vital part of achieving the look you desire. Our scalp treatment goes above and beyond any other to ensure that your hair is getting not only the treatment that it needs, but also the treatment it deserves. This 10 minute shampoo chair oasis comes equipped with a scalp and neck massage, hot towel to cover your face, and the cool wash off with our Bedhead clean up peppermint conditioner. "Color can be intimidating for guys. That's why we have color-specific stylist training to make sure that the color a guy asks for is the color he gets"
Even the manliest of beards needs to be groomed to perfection. At Lady Jane’s we have crafted the art of the beard. Our talented stylists can trim the grizzliest of beards into pure perfection! A well-manicured beard also needs some TLC. We offer the highest end products to moisturize and treat your beard. LJ will ensure you look and feel like a man amongst men, a czar of zest and a mighty symbol of all that is pure and righteous. 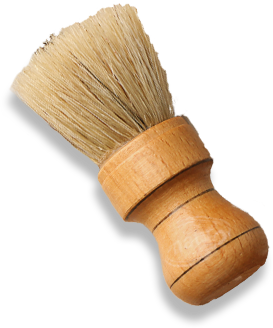 One of the most popular items we offer; the Hot Lather Neck Shave. Enjoy the precision and feel of having your neckline cleaned up using our custom blend of hot lather, and a razor for that extra special attention to detail! It will make you a man of men, the Czar of Zest, a mighty symbol of all that is clean, pure, and righteous! Lisa, our new Lady Jane's girl for 2019, is the type of person that promotes what LJ is truly about. She is fun loving, easy going, sports oriented, and an all around great person. Not only has Lisa grown with Lady Jane's exponentially, but has embodied the LJ spirit, and assisted in opening multiple salons in several brand new markets. Introducing Lady Janes first Rookie of the Year; Nikki Kennedy! We expect her to continue to develop and be a perennial all-star! Hopefully she'll make good on the promising start she's had to her LJ career and head to the Hall of Fame! Lady Jane's is growing fast, stay up to date on the latest. We are making an Impact and breaking world records. "Being actively involved and giving back to the communities, in which we do business, is very important to me and my company. Through the numerous programs supported by Lady Jane's, we hope to make a positive impact on those who are less fortunate and those who need extra funding to run their community based programs." THIS CONTACT FORM IS NOT INTENDED FOR SCHEDULING APPOINTMENTS. FOR YOUR CLOSEST LADY JANE'S HAIRCUTS FOR MEN, PLEASE VISIT OUR LOCATIONS PAGE. WE HAVE A PLACE FOR YOU. APPLY NOW. Lady Jane's is one of the fastest growing men's hair care companies in the country. Best Place to work for Stylists! Jump start your career by applying today!